Last week’s winner, Charting Chad, predicted the price of Bitcoin would go up, but only temporarily. Then during the week, the price went up, but only temporarily before coming back down and ending the week around even. What did Chad predict for this week? And what are Conroy’s excuses? 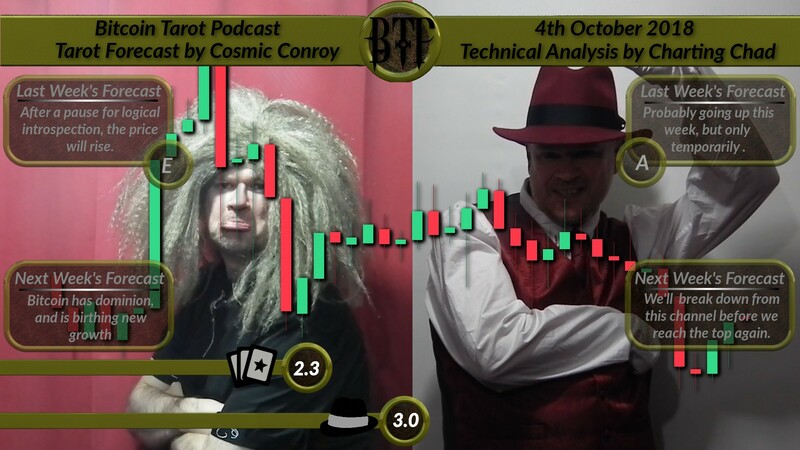 And can Technical Analysis do any better than the tarot? [Tarot-Synopsis] Bitcoin has dominion, and is birthing new growth. [TA-Synopsis] We’ll likely break down from this channel before we reach the top again.